"All groups were excellent, loved De La Sol, spitfires, steriophonics"
It would be have good if there was a shuttle buses, tram for tramline festival. "Fabulous venue - about time"
What a great venue. Having all the stages in the same place was brilliant & there was much more variety of activities, food & stalls than previous years. I have been to every tramlines since it started & after last years washout I said I would never go again. When the new venue was announced I decided to give it one last chance. Organisers, you really pulled it out of the bag. I have already bought my tickets for next years event! Did all 3 days of tramlines enjoyed all of it, bit of a problem getting to Hillsborough, because of trams being on strike. There was a real family atmosphere where there was a good mix of ages young families to pensioners. Plenty to eat and drink if you are vegan, gluten free not so great. You have to wait ages for the loo's but that's to be expected you do get to know more people while standing in the queue for 30 mins. The acts were as fantastic as the weather no wellies required. A special mention to the guys in the first aid tent they do a fantastic job and really looked after me and plenty more people over the weekend. Would definitely recommend for next year. "Just a tad out of reach"
A great gathering of the people of Sheffield. Good capacity, queues for the bar and toilets were totally bareable. Plenty of food stalls. The only issue was the lack of transport (due to tram strike) which made it difficult getting back home from the festival each night. Would be good to see the festival return to it's former grounds in the city centre where venues are of walking distance. A great way for people to explore the city and save their money they would spend on taxis, who charge more due to the festival, for more booze at the gig. Other than that it was a brilliant experience. Tramlines is on sale with Gigantic - the best place to get tickets for all your favourite festivals. We are incredible excited to be able to offer you Tramlines tickets, but we must also make you aware that the demand is sky high so you will have to book yours before they are all snatched up. Fortunately, placing an order for your favourite gig tickets is made easy with Gigantic as you can access our site from the comfort of your home or whilst busy and on the go using a computer, smartphone or tablet. Get to Tramlines this summer! Tramlines, King Gizzard and the Lizard Wizard, Keith Urban, The Wonderful World Of Disney On Ice & more! Get to Tramlines in 2019! 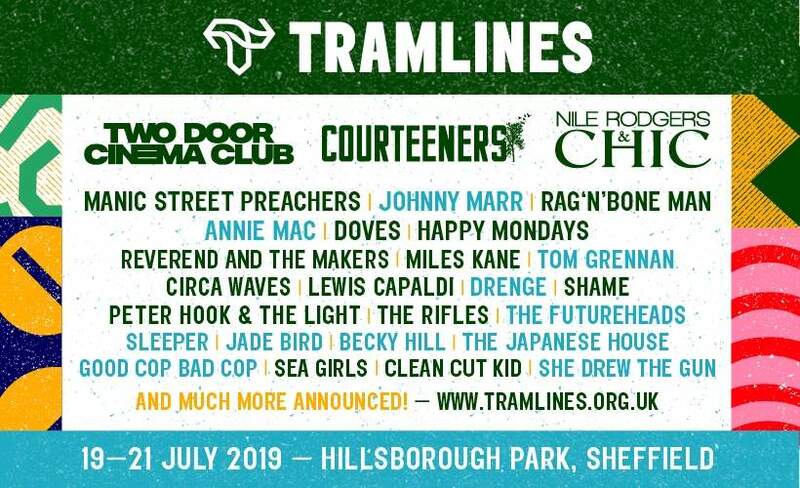 Tramlines, Leopallooza, Ocean Colour Scene, Oh Sees plus more!